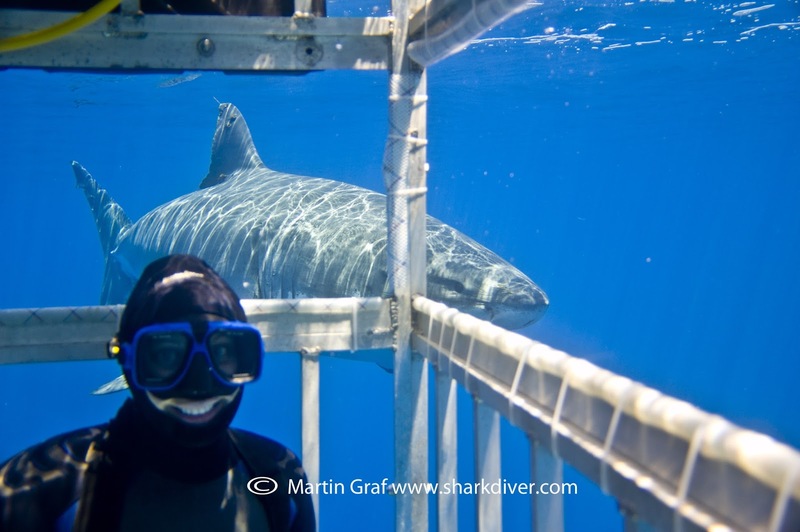 Shark Diver : Shark Diving : Swimming With Sharks: Shark Diver in the news! Shark Diver in the news! Shark Diving often gets a bad rap, when it comes to the news media. So it's nice to see that sometimes the media goes for something other than a sensational headline and gives our industry some credit. Shark Diving Thrives, Saving Sharks Around the World is the headline of a FOX business news article. It's nice to get some acknowledgement that what we are doing is appreciated. I can only speak for myself, but I think that most of us that are involved with shark diving are doing it because we love the sharks and want to protect them. 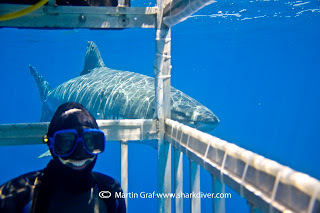 I'm proud to say that the pictures used for the article were all taken from our cages at Isla Guadalupe. I love the picture of Whitney Meyers, from Seacamp San Diego, one of our Shark Divers smiling ear to ear, ah, I mean working really hard to safe the sharks. Shark Diver is happy to be able to provide the shark researchers like Nicole Nasby-Lucas with all our pictures for her database and Mauricio Hoyos Padilla with logistical support. 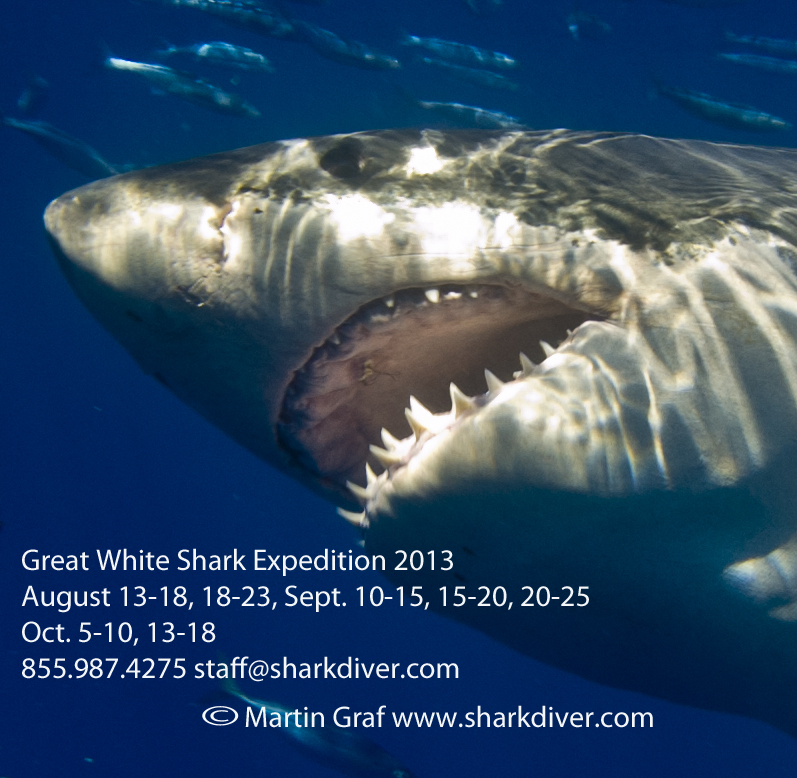 If you want to come face to face with great white sharks and have the experience of a lifetime, all while helping the researchers safe the sharks, visit us at Shark Diver. I hope you all will come and join us!